Take your revenge in Sekiro's Genichiro Ashina boss fight with these tips for success! As the villain who steals your lord and cuts your arm off, Genichiro Ashina is arguably the lead villain for much of Sekiro: Shadows Die Twice. When it comes to his boss fight at the top of Ashina Castle, FromSoftware does not disappoint. Your first real encounter with Genichiro beyond the prologue is a lengthy, extremely tough fight, but also one of the coolest and most enjoyable in the game. 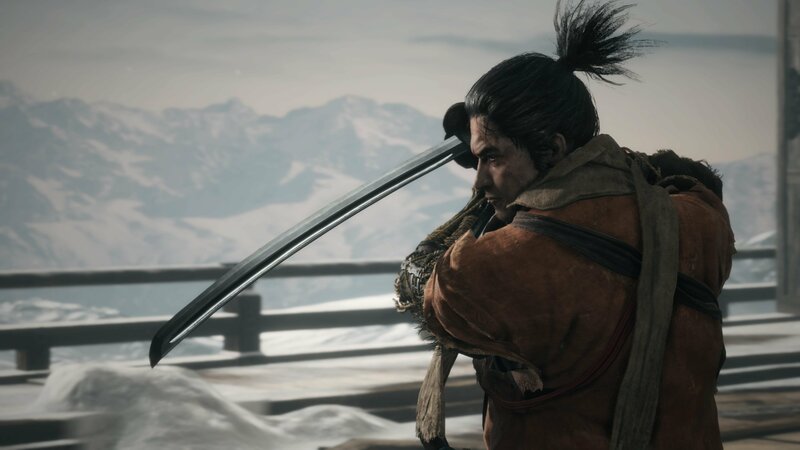 If you’re struggling to overcome his sword and bow, this guide will give you the tips needed to beat the Genichiro Ashina boss fight in Sekiro: Shadows Die Twice. 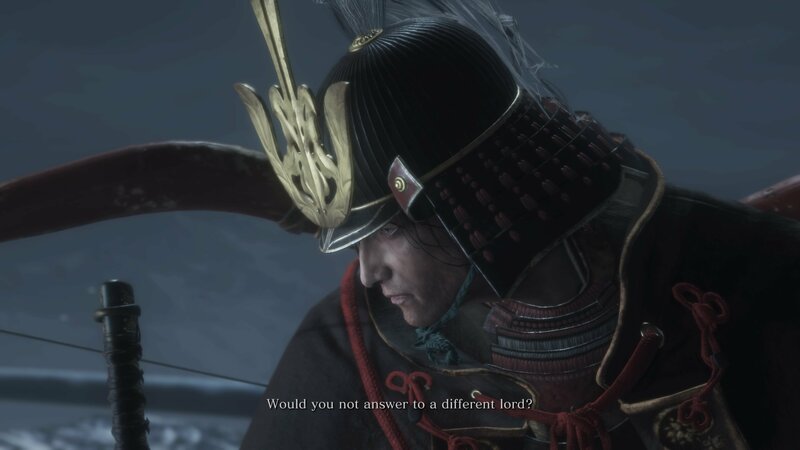 The Genichiro Ashina boss fight in Ashina Castle is a crucial point in Sekiro, and you won’t be able to progress down certain paths until you’ve beaten him. It’s also one of the hardest fights you’ll have faced in the game thus far, so the first step in preparing for it is collecting as many Prayer Beads and Gourd Seeds as possible. If you haven’t defeated Juzou the Drunkard and Lady Butterfly in the Hirata Estate yet, we’d recommend taking them on first too for the extra attack power you’ll get by confronting the memory of their battles. Before you fight Genichiro, it’s also possible to explore large chunks of the Abandoned Dungeon, Sunken Valley and Senpou Temple. These include several minibosses like the Armored Warrior and Lone Shadow Longswordsman which should prove much easier than Genichiro and will reward you with extra Prayer Beads. It’s also worth hoovering up the various Shinobi Prosthetic Tools you can gain up to this point, though few of them will help you in the fight ahead. Next, ensure you have the mikiru counter and Shinobi Eyes skill which boosts its posture damage. If you’ve picked up the Ashina Arts by helping the Tengu find rats near Ashina Castle, we also recommend learning the Ascending and Descending Carp skills that let you deal more posture damage with deflections. Once you’re ready, make your way to the Ashina Castle rooftop to face Genichiro. Keep your guard up at all times in this fight, only dropping to parry or dodge. Genichiro Ashina has an enormous range of moves you’ll need to grow accustomed to, and he’ll even mix them up during the fight to throw you off. That might sound horrendous, but most have a distinct animation tell, and once you’ve learned them, knowing how to respond will score you safe places to deal damage. The fight is split into three distinct stages, so we’ll organize his moves by them. The first part of the Genichiro fight is about poking him with vitality damage while you build up his posture meter. Unlike Lady Butterfly he won’t recharge posture quickly, but any vitality damage you can deal will only make landing a death blow easier. Don’t be afraid to strike at Genichiro while the two of you size each other up, he’ll typically block your attacks, but occasionally a dodge into swing will slip past his defenses. You can also interrupt many of his attacks by striking first. Just be prepared for him to return with a combo of his own immediately after. Keep your guard up as Genichiro likes to use his bow in the middle of fights, you'll need to block or dodge any of these strikes. Here are the main moves to watch out for. Attack flurry: Genichiro’s most distinct attack is a string of strikes around nine hits long. He’ll begin this will a very delayed spin into sword strike. Don’t try to interrupt the attacks, instead focus on blocking and parrying. If you can block/parry the entire string without losing posture, there will be a pause at the end in which Genichiro is open to a quick slash. Be careful in the second stage of this fight, as he’ll often throw in a thrust attack after that you’ll need to Mikiru counter instead. Healing arrow strike: Any time you try to heal against Genichiro, he’ll notch an arrow in his bow for an immensely powerful hit. This deals enormous damage, so you need to be ready to block or dodge after healing. Fortunately, the timing is always the same, so get used to dodging this one as blocks will deal a lot of posture damage to you. Grab attack: One of the best chances to deal vitality damage to Genichiro is whenever he uses his grab attack. This move can be thrown in out of the blue, but typically Genichiro will slice with his sword before sprinting up to you for the grab. You’ll see a red kanji flash up, and Genichiro will draw his right arm back across his left side before reaching out. All you need to do is dodge backwards. As soon as you dodge out of range, charge your own sword strike back to deal a hefty chunk of vitality damage. While the grab is scary, you’ll want Genichiro to do this move as often as possible as it guarantees a large amount of damage on him if you dodge. Thrust attack: Genichiro’s next most common unblockable attack is a thrust. He’ll often throw this in after some other attacks, and it’s identifiable by him stepping back on his right side, preparing for the strike. Watch for the red kanji warning and get used to differentiating this from his grab attack. You should always try to mikiri counter this by dodging towards him as it deals massive posture damage and you can throw in a single slice afterwards to hurt his vitality. Jump and leg sweep: Similar to other bosses like the Lone Shadow Longswordsman, Genichiro has a jumping strike attack. This is easily dodged by stepping to the side, giving you time to hit him back. Sometimes in the first half of this stage, and near always in the second, he’ll throw in an unblockable attack afterwards. Typically this will be a leg sweep, which means after you dodge the jumping attack, get ready to jump when the red kanji appears and kick him in the face for large posture damage. Sometimes he’ll throw in a thrust attack here, but you can usually rely on a leg sweep coming out instead. Four arrow strike: Genichiro will occasionally jump in the air and fire four arrows at you quickly. These deal a lot of damage, so block or deflect them. If one of the first hits you, you’ll still be able to block the later ones so don’t give up. Arrow to rolling strike: Genichiro will mix arrows into his regular strikes, and one of the most common forms is a single arrow followed by a roll into an overhead swing. The arrow comes out quickly, so focus on blocking or deflecting it. If you’re feeling confident, you can actually hit Genichiro while he’s rolling to interrupt his attack and deal vitality damage. Otherwise, dodge to the side after the arrow and hit him while he recovers from the swing. After you’ve dealt two deathblows to Genichiro, you’ll enter the second stage of this boss fight, and will need to face the Lightning of Tomoe. At this stage he’ll start throwing out entirely new attacks including special lightning strikes. The trick to facing the Lightning of Tomoe is to jump. If you stay grounded, you’ll take massive damage. When struck by lightning in the air, you need to guard the attack with L1, then disperse the lightning with L2 before you hit the floor. If done successfully you’ll swing your own lightning hit back at Genichiro, damaging and stunning him. It takes some practice, but it powerful once mastered. The start of this phase always begins with Genichiro lunging at you with a long-range thrust attack. You can either run forwards and dodge to the side to avoid this, or mikiri counter for heavy posture damage. Genichiro is much more deadly, but also much more open to being hit during this stage, so take every chance you can to deal vitality damage. He’ll repeat this thrust attack any time you try to heal, so watch out for it and be ready to counter or dodge. Lightning arrow: Genichiro leaps into the air, charges a lightning arrow and fires it at you. Jump to the side as he fires the arrow to dodge it, or jump straight upward and attempt to block and return the lightning as we detailed above. Be careful dodging too early, as if the arrow hits the ground near to you it will stun even without a direct hit. If you successfully dodge, you’ll have enough time to strike back at Genichiro. Don't do what we did and forget to strike back after blocking the arrow. Lightning strike: Genichiro jumps forward, raising his sword upward with lighting before striking down overhead. Either jump straight up and attempt to block and redirect the lightning back at him, or jump to the side to avoid the attack. When dodged or countered, move in for a few quick swings. Lightning sweep: Genichiro jumps straight up into the air as lightning strikes his blade. He then spins into a long-range sweep attack. Red Kanji will flash up for this attack, and the only way to counter is to jump upwards and either kick for posture damage or slice to hurt his vitality. This is by far his fastest lightning attack, making it particularly hard to counter. Running grab: Genichiro's grab will now involve him charging towards you, so continue backing up or sprint away to stop him from reaching and killing you like he did to us in the gif above. While his lightning attacks are intimidating and extremely deadly, Genichiro is far, far easier to hit during this phase of the fight, so keep building up that vitality damage with slices and posture through mikiri counters or jump kicks and you’ll be able to deal a death blow before long. Genichiro is undoubtedly the toughest fight you’re likely to take on in the game so far, but with practice you’ll learn his moves and be able to break his posture. Once he’s beaten, take a look at the rest of our Sekiro: Shadows Die Twice guides for more tips and tricks!